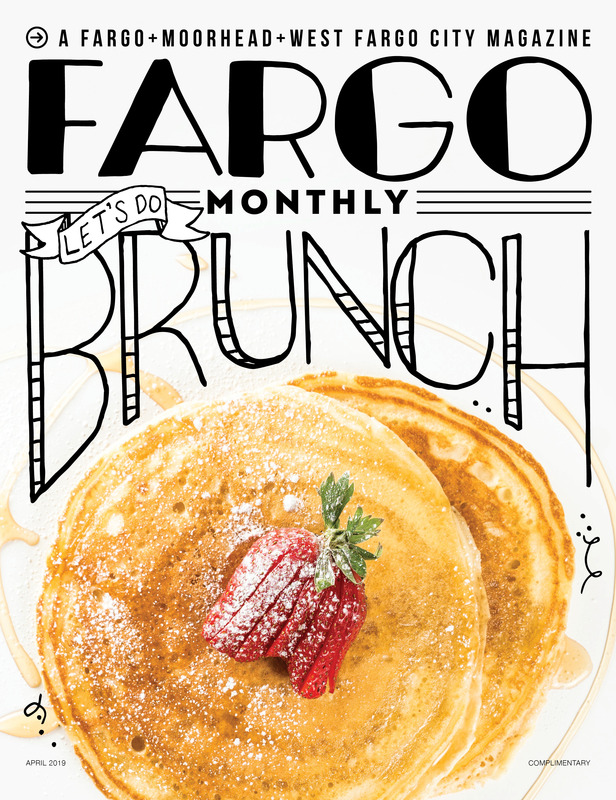 Whether you want to check out some art, participate in Giving Hearts Day or something else, check out our top Fargo events for February. As 2019 gets started, there are so many great events you definitely don’t want to miss! Whether you want to check out some art, participate in Giving Hearts Day, see some standup comedy or something else, we’ve got you covered with our top Fargo events for February. What are you most excited to check out this February? Friday, Feb. 8 from 8-9:30 a.m. The North Dakota Women’s Business Center presents Strong Women, Strong Coffee: Coffee in one hand, confidence in the other! Fueled by caffeine, join business professionals while learning something fresh and new for you or your business. You’ll be surrounded by like-minded women who are focused on growth, high productivity and getting results. Beverages will be provided by Red River Coffee Co. Speakers include Billi Jo Zielinski, Jenessa Fillipi and Lori Schwartz. Saturday, Feb. 9 from 10 a.m to 2 p.m.
Just because it’s cold out doesn’t mean you can’t enjoy the farmer’s market still! Join the Red River Market for a winter farmers’ market at the Hjemkomst Center. This indoor event will feature pantry items, household goods, baked goods, art, hot food and beverages. Shop with your favorite Red River Market vendors while enjoying live music and more. Saturday, Feb. 9 from 10 a.m. to 2 p.m.
Join the Downtown Community Partnership for the 4th annual Coffee and Cocoa Crawl! Bundle up the kids and grab your friends for a day of sipping and shopping. Admission is just $15 (10 and under are free) and includes a mug and samples of coffee and cocoa at 25 different locations in Downtown Fargo. Pick up your map and mug at 74 Broadway N. the day of the event. A trolley will be provided free of charge for participants to utilize throughout the day. Giving Hearts Day is the largest 24-hour giving event in North Dakota and northwestern Minnesota. Each year, thousands of people rally around hundreds of nonprofits in our community saying, “count me” as a Giving Heart for charity. More than 450 charities and nonprofits are involved, and with opportunities for donor matching, it’s the perfect day to give back! Presented by Captain Morgan, the inaugural year of Fargo’s premier stand-up comedy event will feature a dynamic lineup of national and regional comedians bringing the laughs to multiple local venues over the course of two days. Enjoy headlining performances at The Fargo Theatre Friday and Saturday night, with local and regional talent appearing throughout the week in The Cellar At Front Street Taproom. Headliners include Tig Notaro and Gary Gulman. Monday, Feb. 18 at 7 p.m.
Lissie will be bringing her Americana sound here to Fargo for a solo, unplugged show. Be expecting a stripped down, personal evening including audience banter back and forth with Lissie and some amazing songs. Lissie stands out from the rest thanks to vocals that demand attention and her dreamy, yet completely down-to-earth catalog of music. You won’t want to miss this show. Don’t miss the 58th Annual Red River Valley Home & Garden Show! This unique event showcases not only diverse products and services available in today’s building industry, but it also puts consumers in contact with professionals in the field, a non-existent feature of online shopping. Saturday, Feb. 23 from 9 a.m. to 4 p.m. The annual Unglued: Craft Fest is an inspired day of creative fun and celebration – and it takes care of that cabin fever in February! The event features around 70 carefully curated modern handmade maker, artist and crafter booths at Plains Art Museum. The Unglued Craft Fest also offers free workshops for kids and adults, live music, swag bags, scavenger hunts, a craft beer garden, free gallery admission and fun in the great dead of winter! Fargo-Moorhead Comic-Con is the celebration of comics and popular culture in all media, be it print, film and TV, games, toys, art and much more! Highlights include local and regional vendors of all things comics and other assorted memorabilia. Video game tournaments and casual games will be there, and FMCC will also feature an assortment of panels and workshops, films and videos and costume contests. Sunday, Feb. 24 from 2-6 p.m. The first ever Fargo Hotdish Festival is happening at Brewhalla! One of our region’s favorite dishes now gets its own festival. Be expecting all sorts of delicious hotdish dishes all in the beautiful surroundings of Brewhalla.